Tomorrow, September 3 is the birthday of Anna Duchess of Bedford, the creator of afternoon tea—and what better way to celebrate royalty than with royal tea! 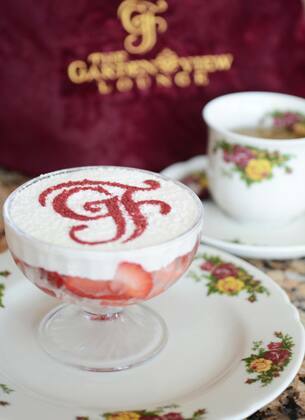 By now, Disney Parks Blog readers know how much I love afternoon tea—whether it’s the Classic Afternoon Tea at Disneyland Hotel or the place where I experienced my very first afternoon tea—at Garden View Tea Room sponsored by Twinings of London at Disney’s Grand Floridian Resort & Spa. Can’t decide on a tea? Our Imperial Tea Master and Certified Tea Sommelier are ready to help, in addition to all of the incredibly knowledgeable servers. 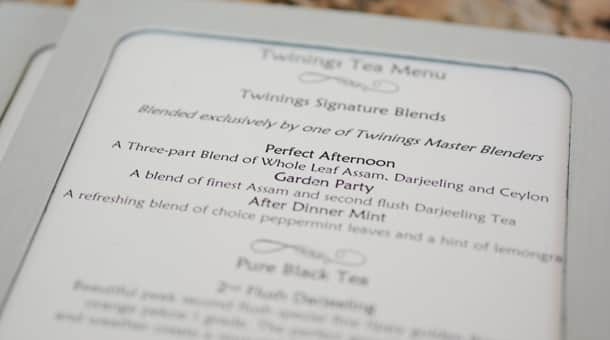 On our recent visit, our server Michelle helped us select the perfect tea blends to suit our tastes. Reservations can be made by visiting DisneyWorld.com/dine, or by calling 407-WDW-DINE. How will you celebrate afternoon tea? Let us know in the comments below! My mother, father, niece and I celebrated my mother’s 90th birthday on March 1, 2015, having tea at the Garden View Tea Room at Disney’s Grand Floridian Resort & Spa. She also indulged in a hairdo at Ivy Trellis Salon and manicure/pedicure at Senses Spa. 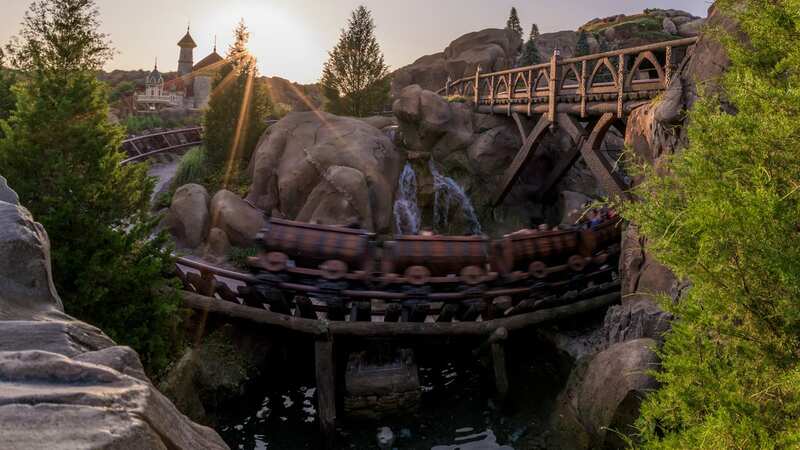 It was a wonderful experience for us and a memory that I will never forget, as both my parents have since relocated to their own Magic Kingdom in the sky. My husband and I surprised my mother-in-law with a trip to WDW a few years ago. No kids, just three adults. The highlight of her trip was afternoon tea at GF. A memory that will not fade. As a “day of rest” (i.e., no parks) we had spa treatments in the morning, following by afternoon tea. What a perfectly relaxing day! For those of you asking if this experience can be made vegan, the answer is yes! I’m vegan and my daughter is vegetarian. We did the afternoon tea in June and it was a wonderful experience. The chef came out and talked to us beforehand, let us know what was vegan in the typical fare, and then made special plates for both of us so our experience would be as complete as the two omnivores who were with us. It was a perfect way to spend a rainy afternoon! Took my 15 year old granddaughter and her mother in June. She loved it and said it was the highlight of the whole trip! The first time we went we didn’t know what we got ourselves in to,this is now a must do on every trip we take. We loved every second of it! 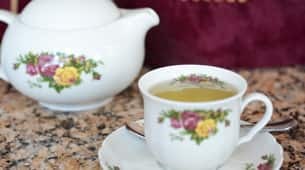 I scoped out the menu before hand, and apparently a tea I originally wanted was only an item that was going to be served at the holidays (a week after we were there), so the kind server helped guide me to a similar tea, and I loved it ( I ended up with the princess tea)! I even asked if I could have a to go cup as I was severely sick while there with a severe sinus infection and out of everything I was taking prescription wise, the tea was the only thing that made me feel human!!! Also the Strawberries and creme’ are amazing!!!! Rachel, very cool article. The Garden View Tea Room is where I had my first afternoon tea as well. I’m only a casual tea drinker (iced green tea, maybe), but the GF’s afternoon tea and etc. is a nice civilized afternoon looking out at the garden and grounds, if you’re in the mood for an afternoon downtime. And you don’t need Mother’s Day or Princess Aurora to enjoy it. 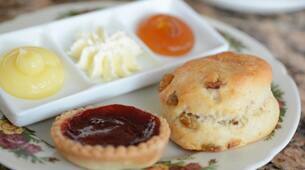 I enjoyed Afternoon Tea at the Garden Tea Room solo on a trip to WDW this past April. It was a wonderful way to pamper myself. The atmosphere was so calm and serene and the tea, sandwiches, and other tidbits were delicious. Absolutely, wonderful! The Afternoon Tea is just amazing, I do wish they still accepted the Tables in Wonderland discount though. Months ago and I am allergic to Gluten and wheat. They had a wonderful GF menu and the rest of the table was still able to have their gluten filled items. 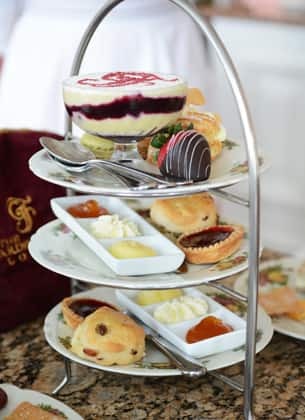 I’ve always wanted to try the afternoon tea at the Grand Floridian! My family is vegan, can they accommodate us? We love the Tea room. My daughter is now vegan. Can they accommodate vegans? Do they offer gluten free food options? The Afternoon Tea at the Grand Floridian is absolutely amazing! My mom and I went last summer, and it is probably one of my favorite Disney memories. I fell in love with the Princess Breakfast Blend tea. A must for all tea lovers. This sounds wonderful. I hope to enjoy afternoon tea during a future trip with my daughter. I’m addicted to Twinings teas! lovely experience. The Tea Room is beautiful and the food is wonderful. It a charming way to spend the afternoon.